Flight simulator fs2004 Aryus Works Cessna Citation Excel XLS, Citation Shares livery, registration N556CS. 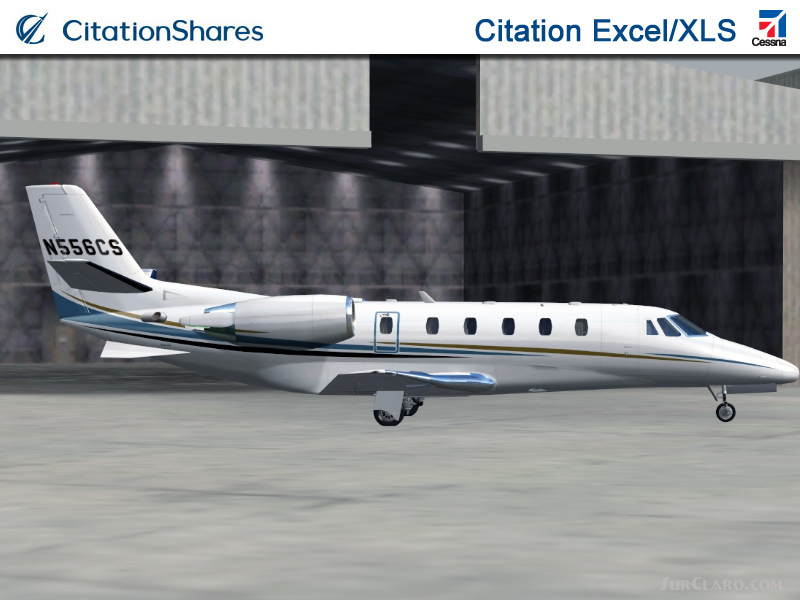 I am proud to present this Cessna Citation Excel XLS, registration N556CS, in Citation Shares livery in the Aryus Works freeware model. 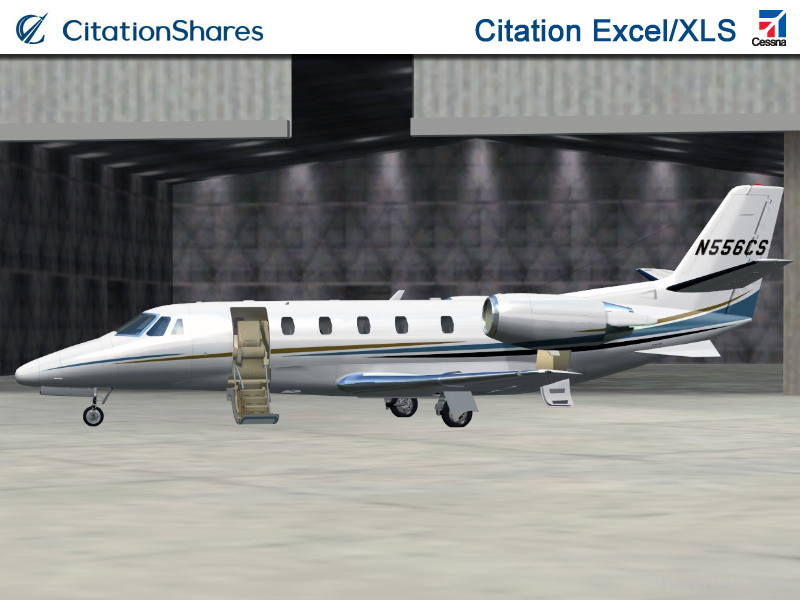 Citation Shares flies this model of the Citation as well as the Bravo, CJ3 and Sovereign. I want to thank and give credit to Bryan Bass for inspiring this project. I paid attention to detail and realism as much as possible on this work. The textures in this repaint are 32-bit. I hope you enjoy flying this as much as I enjoyed painting it. Repainted textures are 32-bit with no mipmaps. Textures repaint developed by Jeffrey S. Bryner, Cessna Citation Excel XLS Model developed by Aryus Works. Full install package. Uses msfs default Lear45 panel and sounds. Please see Install. txt for setting-up details. Flight simulator FS2004 Aryus Works Cessna Citation Excel. Rating: 9.20 of 10 over a total of 5 reviews. I like flying this one ... Please make the cabin lights stay on at night. Goes off if landing switched off. Would be a ten if it had vc. This model is close to excellent, a better panel needed.Sound files from TSS Turbine Sound Studio works great. Bird really fun fly.